Getting loads of treats over Easter is amazing but sometimes you just have no where to put them so Happiness is Homemade have created some springtime jars. They are so beautiful you can have them out on display. The best thing is they are super easy to do and you can get them out year after year. Start with a clean Mason jar and some vinyl stickers. The stickers used on these jars are from the Silhouette Store and cost 65p each. Alternatively you can print out and use the template I have provided below. Apply the stickers to the smooth side of the jar, and press firmly to make sure they’re completely stuck to the glass. Paint the jar with a chalky finish paint. You may also use a spray paint but if you do this then flip the jar upside down just to make sure no paint goes inside the jar. Allow the jar to dry for 10 minutes before carefully pealing off the vinyl sticker. Add some ribbon or lace to the top and fill with treats. Make your halloween costume this year that little bit more gruesome by adding this easy (but very mess) fake blood. There are a lot of fake bloods in stores to by that are easy to use but they just won’t give you that real bloody gore effect. I always find them too bright or too pink. 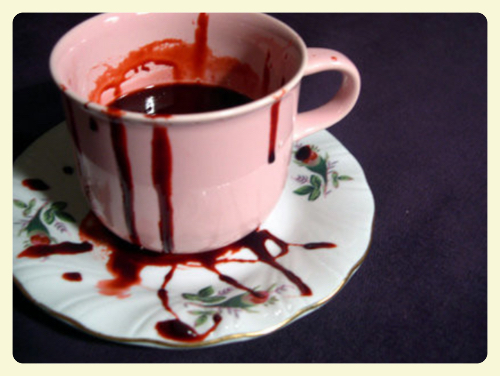 For you more ambitious souls, I am going to tell you how you can make your own fake blood. 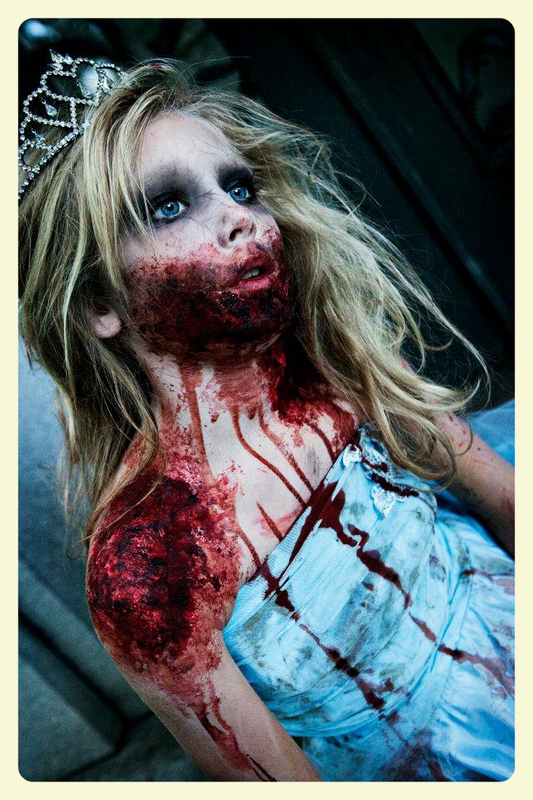 Each character be it a vampire, zombie or killer bride will have a different ‘blood’ look. Some require more blood and others a darker blood. How much food colouring you use will depend on how much blood you are making. Add the food colouring until the mixture begins to look bright red and like blood. Add a drop of blue and green food colouring to get a more “realistic” blood colour but remember to be careful because if you add too many drops of these colours you will end up with a horrible brown and have to start over. Once you have the perfect shade mixed, you will need to add a thickener. Add some sifted flour or cornstarch and carefully whisk this into your red mixture. If you get any unsightly lumps that won’t dissolve, just strain them out with a strainer. 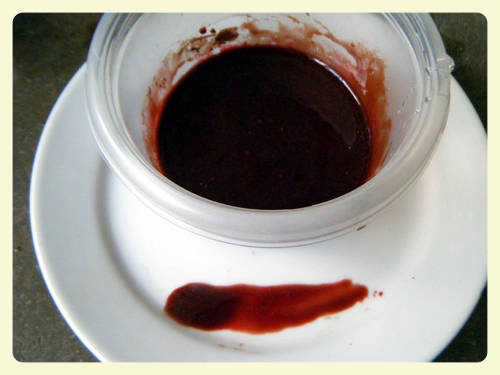 You can also substitute chocolate syrup or maple syrup as a thickener. Adding chocolate or maple syrup as a thickening agent will darken the mixture. Many find that the syrup addition also creates a more realistic colour and texture to the mix.